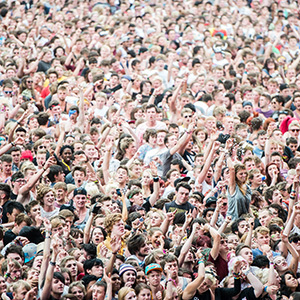 2014 Reading Festival Guide, Hints and Tips! Blink 182 have warned Reading and Leeds to 'prepare for the fury'. We agree, but instead of telling you that the fury will also be provided by legends like Queens of the Stone Age, Paramore and Arctic Monkeys, we have split the two events into two handy all-you-need to-know guides to give some helpful advice on important stuff like camping, festival facilities, food and drink and getting there and away. Keep either our Reading Festival or Leeds Festival Volunteer Management Software blog to hand you you'll be right as rain! 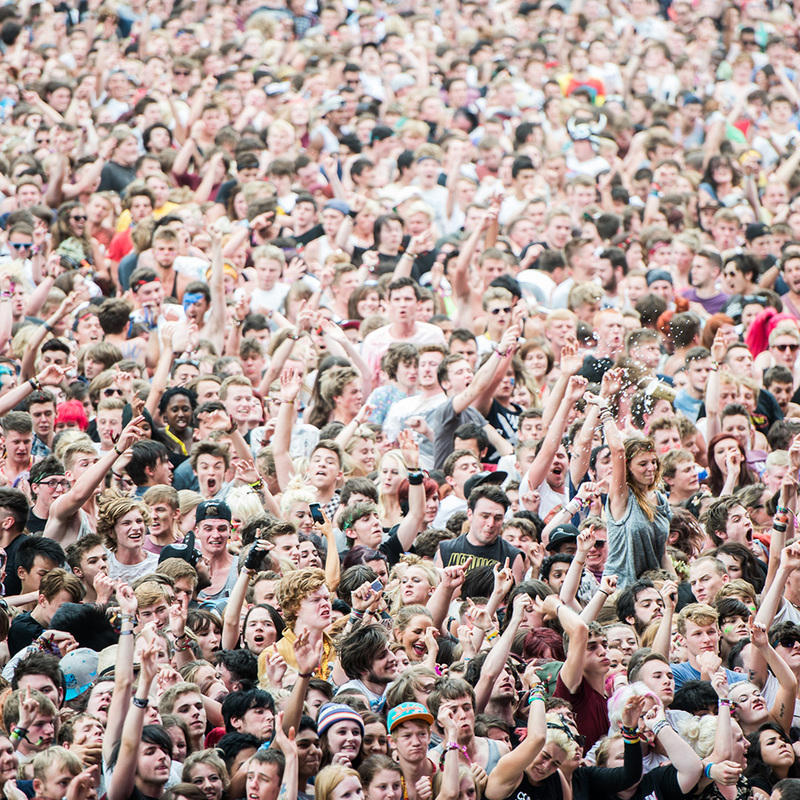 So this one is all about the 2014 Reading Festival, which takes place at Richfield Avenue on the 20th to 24th August. As with most other major festivals, Reading is making a concerted effort to encourage visitors to be as green as possible when travelling to and from the event. We all know that cars are bad news for the environment, so why not kick off the festivities early by joining fellow revellers on a train or bus? Reading station is a 20-minute stroll from the festival site, or there are shuttle buses available for a quid - that's not going to cut into your cider budget too much now is it? National Express is once again providing services from all over the country direct to the festival's Red campsite. Coaches really are a no brainer: a professional driver is doing the hard work, so there's no shouting at the satnav or wrestling with maps. Yay! Coaches are also cheap, green and a godsend for those needing a kip before or after a couple of nights' hard partying. However, if the car really is your only option (boo to you! ), why not spread the cost with other festival goers by logging on to the BlaBlaCar ridesharing website? Taking three extra passengers will cover the cost of your journey, plus there's a priority car park and even the chance to win VIP backstage tickets! Those arriving at the King's Meadow car park can hop on one of the free shuttle boats taking visitors to the Green pedestrian gate. A free boat trip - you don't get that at many festivals! Drivers are also being urged to TURN OFF their satnav when they get into Reading and follow the signs. 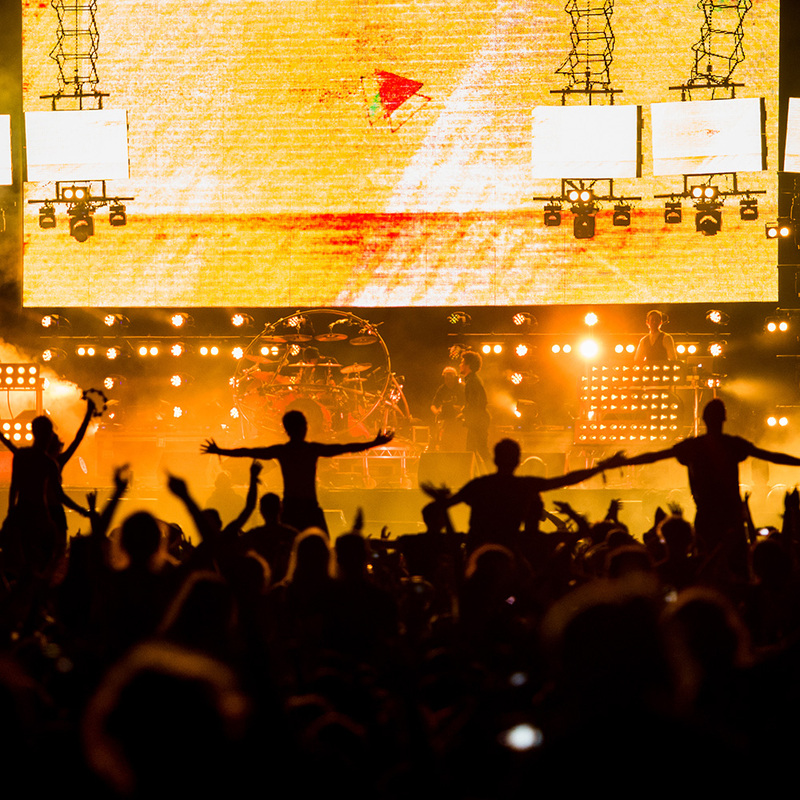 Spending some time reading the information that comes with your ticket and checking out the Reading Festival website so you know exactly where you're supposed to be when you arrive will save a great deal of time and frustration. Nobody wants to begin the festival in a bad mood, least of all the car park staff, although that is kind of inevitable. Reading Festival has seven coloured camping zones available to those holding weekend tickets. If you're intending to bring a campervan, caravan or trailer, however, you'll need to buy a campervan ticket and permit for the White campsite in advance. A special wristband will be given to those displaying a valid permit at the gate. It goes without saying that everyone planning to stay in the campervan area will need a valid festival ticket too. Check out the website for more details. These festival angels, supplied by Hotbox Events and PAAM (yay us! ), are well worth getting to know, as they'll be on hand in all campsites around the clock. These volunteers are charged with making your life easier by giving information and directions, looking after the facilities, dealing with annoying neighbours and keeping an eye on your stuff. Tents can be buggers to put up, so don't be embarrassed about asking for a hand with the pegs and poles, especially if you're on your tod, heaven forbid! The festival organisers will also post a detailed downloadable map of the festival site on the Reading website, just in case you're too proud to ask for directions. 'Glampin' options are available for those not so keen on wrestling with a tent. Pink Moon Camping provides an Oasis of pre-erected tents, serviced toilets, showers and round-the-clock security for festival visitors looking for a slightly more upmarket Reading experience. Podpads is also setting up a range of alternative accommodation this year. The tents, huts and tipis are built from a variety of different materials, but are always spacious and outrageously colourful. Although Reading does not have a dedicated family campsite, parents wanting a bit of downtime with the kids away from the fray should grab a spot in the more peaceful White campsite. Make sure to book a parking pass for the White car park in advance, as it's a bit of a trek from the town centre. The facilities include free hot showers, a mini-supermarket, a real ale bar, food stalls and space for the little ones to run around, so totally worth it. There are plenty of toilet facilities dotted around the festival site. However, it's worth noting that the festival organisers will NOT be providing toilet paper this year - what?! The idea is to cut down on waste - okay, we'll let them off. No need to panic if you forget to pack the loo-roll however, as traders will be selling it at predictably sky high prices, as will the three onsite supermarkets...and there's a big Tesco nearby. There are free hot showers at Baker Lane and in the Yellow and White campsites. They are open from 6am to 8pm and are regularly cleaned. However, this is a music festival, so expect to queue during busy periods. Those who fancy a bit more pampering can make use of the Rivermead Centre's showers, swimming pool and cafe for a small charge. Hundreds of food traders will be setting up their stalls at this year's festival, serving up culinary delights from around the globe including noodles, pizzas, salads, hippy goodness, ostrich burgers etc. Organisers will be compiling a comprehensive food price-list to which all traders will have to adhere, so no worries about getting ripped off (any more than is usual on a festival site). The Arena has several bars, which will operate a cash only policy. This year, the Main Stage bars will not be serving spirits in order to speed up service. No alcohol is allowed into the Arena, and no glass is permitted anywhere on the festival site. A Challenge-21 policy will be in force, so if you're lucky enough to look under 21, you'll have to provide proof of age to purchase alcohol or tobacco. An ugly side of big summer festivals like Reading is the sheer amount of stuff left behind by visitors who don't want to face the hassle of packing everything up and taking it home. Sadly, most of what is left will go to landfill or an incinerator. However, a little bit of effort is good for everyone. Those who really don't want tents, clothes, wellies, sleeping bags and other camping gear can drop it off at dedicated collection points. Donated gear will then find its way to charitable organisations and community groups. And that's a good thing. So do it, please! Small contained campfires will be permitted in the camping grounds until 8pm on Sunday. We don't need to tell you that fire is dangerous. Even a small spark can quickly reduce a tent and its contents to a smouldering pile of disappointment, so be sensible, and keep all flames away from anything flammable and under constant supervision. There are dedicated fire fighters on site to deal with anything that gets out of control, and any fires deemed unsafe will be extinguished immediately. The Reading organisers will be doing their utmost to make sure this year's festival will be as enjoyable as ever. Visitor safety is therefore paramount, and illegal or antisocial behaviour will not be tolerated. So use your noodle. Don't bring anything you can't afford to lose and definitely don't bring anything silly. This includes excessive amounts of alcohol and cigarettes, illegal drugs (including so-called 'legal highs') fireworks, glass bottles, professional recording and camera equipment, Chinese lanterns, lasers, weapons etc. 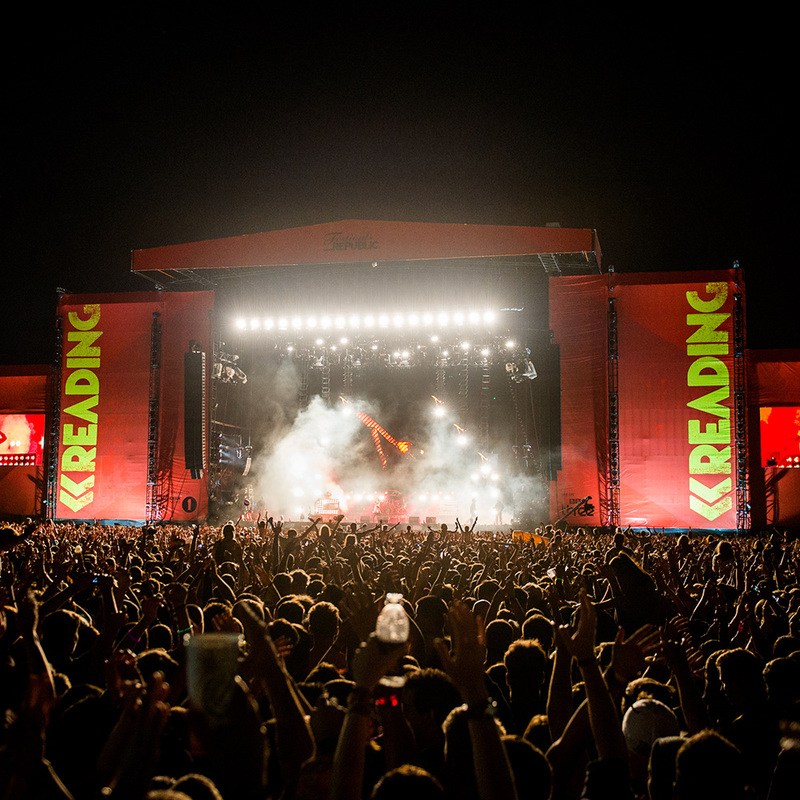 Above all, have an amazing Reading Festival! See you there!